Melania Tweets Lovey-Dovey Snow Photo - Joe.My.God. President Trump — facing a slew of accusations of sexual shenanigans from several women — on Thursday tweeted a photo of himself and the first lady looking lovey-dovey at the White House. 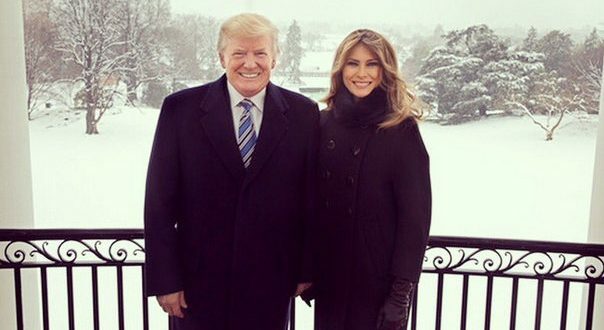 Melania Trump first posted the photo, showing her and her allegedly wayward hubby in overcoats standing side by side on a White House balcony and smiling widely with a snow-covered lawn in the background. Trump then retweeted the image, a day after accusations about his past sexual exploits surfaced on three fronts. Melania Trump has kept a low profile as FLOTUS. But her dependably unprovocative social media posts often mean that there’s a rarity of photos featuring only her and President Trump. 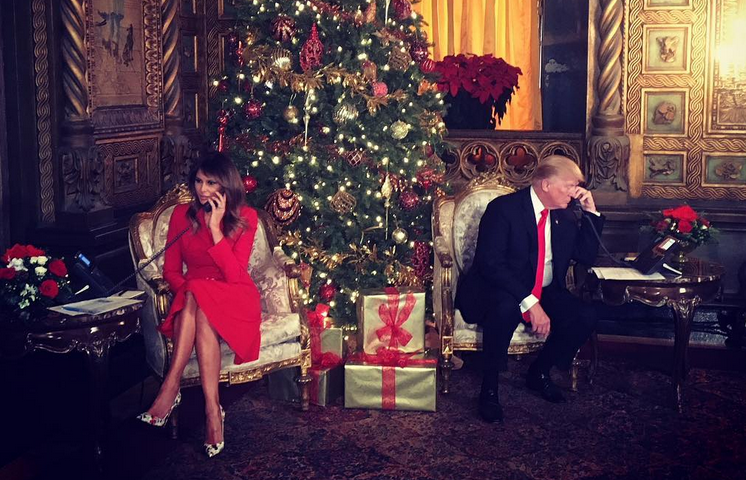 In fact, prior to her Thursday post on Instagram and Twitter of them on a snowy day at the White House, the last time Melania posted a solo photo with Trump was on Christmas Eve — 88 days ago. Below is that photo from 88 days ago. Rather different.